George called the meeting to order at 4:00p.m. Cedar Creek: #3 – Working on a new cart path and redesign of tee box & will have the finish grade of tee box done this fall and ready for sod in spring; Jeff Earl has two more pours; fescue grass will be planted on both sides of the fairway. Cedar Creek #10, #12 & #13 have been aerified and a new yardage boulder placed on #13. Rusty’s Tree Service is doing some Pro Bono work for us on Holes 1 & 18. He will budget funds to hire him next year to continue the process. Wanted to especially thank all the folks who helped with the new bridge on #9 of Cedar Creek and those that helped fill vole holes with sand on a few Tuesday evenings after Couple’s League. 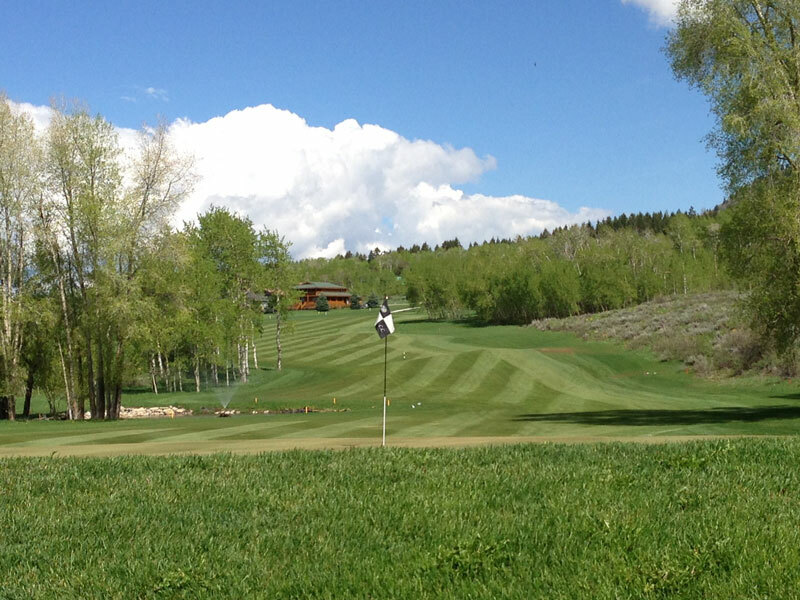 Aspen Hills: All greens were double verticut & top-dressed& all tee boxes were top-dressed. Irrigation is running at 500 GPM and winterization will take place October 1st – 7th . Ben Whalen, Golf Pro, reported that the Fall pricing started today and the clothing will most likely be discounted in October. There’s still some nice looking shirts, jackets, etc. to choose from! Start your Christmas Shopping early! He also mentioned that the lessons went very well…two times more than last year. He said he would like to see an increase in the golf fees as the Afton Course is charging $40/round w/cart and their course and carts are not near the condition that ours are. After some discussion, the committee said they were good with raising all fees by 10% across the board…including memberships, punch cards, etc. Donna Thompson brought up advertising & signage. She stated that the signage in place now is not up to what it could/should be. We are at the end of a contract for our sign at the Old Mill and will not be renewing that space. There was discussion to get with Star Valley Ranch RV Park and see if they would be interested in sharing a couple of billboards which would be placed further north & south of the Cedar Creek Road to alert travelers that there are 54 Holes of Golf to enjoy just up the road. Also, discussed was advertising again in the Jackson Hole News & Guide to bring in the golfers from Jackson and surroundings areas. Advertising in Idaho Falls may also be an option . 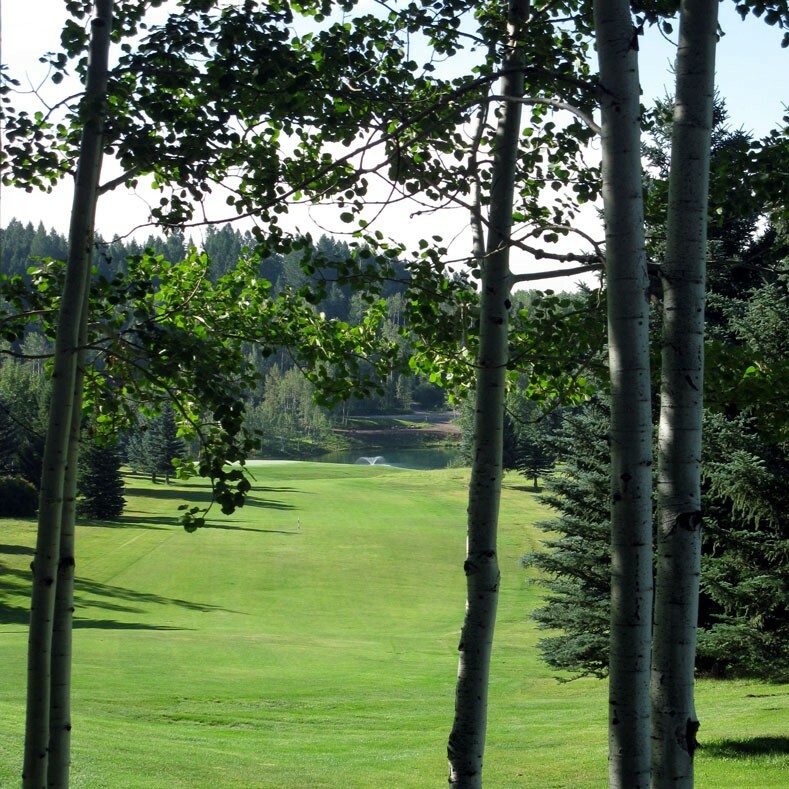 The removal of the 15″ holes on Aspen Hills was also a topic of discussion. There hasn’t been much feedback as to if the golfers are enjoying them or if they are in way. Mowing around them is a hassle and changing them is not easy either. Any player participating in a SVR Member-Guest and/or Member-Member Tournament who scores an aggregate (two day average) net score of more than five (5) strokes below that players net handicap will be required to play to that aggregate handicap scored for the next two (2) SVR Member-Guest and/or Member-Member Tournaments that he or she plays in. Any player affected by this new rule who plays in a SVR Member-Guest and/or Member-Member Tournament must play two (2) years using this adjusted aggregate handicap (or their current GHIN Handicap, whichever is lower) before returning to their established GHIN Handicap at the time of the next SVR Member-Guest and/or Member-Member Tournament he or she plays in. This new rule includes all scores recorded from the July 2016 SVR Member-Guest Tournament and all tournament scores posted to any future Member-Guest and/or Member-Member Tournament and shall ONLY affect the individual player (or players) affected by this rule. Old Business: Ken McNeal talked about the members playing golf on weekdays instead of weekends so there are more tee times available for guests. A three day limit for advance tee times for members was discussed and it was decided that the Pro Shop would try that next spring to see if it helps get more guests playing during the times that the members usually do. Ben Whalen requested that the Ladies Association give up two of their Thursdays next year for practice rounds for the Mixed Moose Tournament and the Member-Guest Tournament. Marsha Combe and Donna Thompson will make sure that is done when putting the Ladies golf calendar together. Maybe we can get them to play Aspen Hills those two days! Motion to adjourn made and seconded. Meeting adjourned at 6:10p.m. Present: Terry Wilson Co-Chair, Kurt Richmond Co-Chair, Gary Braun Director, Kirk Sessions General Manager, Gayland Archibald, Ken McNeal, Korry Wheeler Golf Professional. Next month’s meeting will be October 6th. 2. Action Item: Greens Committee prioritize cart paths for next year. Discussion on the meter and filling the pipe with water so that the meter will work. v. Ponds on 16 and 13. The bid from Derk Izatt is $3,000. What do we need to get it going? Change this project from a volunteer to an outsourced project. Have George Toolson dig a test hole to see what is in the pond. Finish #13, 9 irrigation trenches, berms 1,2 Driving Range will be done after trees are planted, cart paths #1,9 AH finish to grade and seed. Gayland Archibald, Jim Chumley, Scott Johnson, Kathleen McKinley, Ken McNeal, Kurt Richmond Co-Chairman, Robie Robinson, Kirk Sessions, Korry Wheeler, Terry Wilson – Co-Chairmain and Gary Braun – Golf Director. i. Hole 1 CC by green, total length 174’ x 6’ wide with an additional 72 square feet for bump out for a total of 1,116 square feet. Option A – Use existing cart path total length 360’ x 6’ wide with additional 72 square feet for bump out for a total of 2,232 square feet. Option B – Use existing cart path then cut to the right after the front of men’s tee, towards bridge. The new senior tee would be built to keep the yardage in regulation for a par 5, per Randy’s recommendation. Total length 379’ x 6’ with additional 72 square feet for bump out for a total of 2,346 square feet. Option C – Eliminate old cart path build new cart path on North side of men’s tee, build new senior tee box 20 yards in front of men’s tee to keep yardage in regulation for a par 5. Total length 250’ x 6’ wide with additional 72 square feet for bump out for a total of 1,572 square feet. By using option C we will be saving 660 square feet of concrete with a cost savings of around $2,000.00. Also making hole 2 a regulation par 5 for seniors. The new path will also be a direct route to the bridge without using the access road. The material excavated from this option will be the material used to build the new tee and the sod salvaged from this job will be used to finish the tee. Irrigation arrangement will not be changed. Gayland Archibald moved and Robie Robinson Seconded that the Greens Committee recommend following option C. The motion was passed unanimously. iii. Hole 7 AH green to Hole 8 AH tee. Use the existing cart path starting at 7 green up the hill to 8 tee stopping at the end of the rock wall. The total length is 560’ x 6’ wide with additional 144 square feet for 2 bump outs for a total of 3,504 square feet. v. Any left over monies will be used on hole 4 from the bridge to the ladies tee box. Gayland Archibald moved and Ken McNeal seconded to recommend that any Extra Monies go to building the cart path from the bridge to the ladies tee box on hole #4 at Cedar Creek. The motion was passed unanimously. Trees in tree farm are close together. One tree might have to be cut down to get one tree out. This will depend on the size of the spade. Is it possible to delay this job until fall of 2012? I would like to see if the trees we planted in 2010 will survive the winter of 2011. If they do then we can proceed with the same process as we did in 2010. I will try to plant some aspen trees on the berms on the right side of the driving range to protect that house. i. I would like to see the color molded stakes put on the course. These require less maintenance and no painting. We could implement this on a 3 year plan. Randy and Korry will get an estimate to Kurt on how many stakes we will need. i. Option A – Dredge existing ponds, install inlet and outlet from existing canals and bed with clay. ii. Option B – New designs for ponds as presented at last greens meeting. iii. Schedule work to be done on these projects. Should we do it in house, or outsource the work? Terry Wilson, Kurt Richmond, Kirk Sessions, Gayland Archibald will meet and look at the possibilities of how to improve the pond. Proposal to fill in hole west of #1 tee and build a 2 tier driving range tee which would add approximately 75 to 100 yards to the current driving range. The cart path would be moved to the east side of the #1 tee and a new senior tee would be cut in the bank between the men’s tee and ladies tee. Material to fill in the hole will come from the town stock pile. We can take advantage of all the new piping they are putting in the ground. The fill could come at no cost to the Association. Power just hooked up today. It seems to be working great. We will look at the possibility of new tee box signs. Korry will look into the costs. Kirk will call Warren Webb about the possibility of using boulders. Program is set in place. 2012 budget will indicate inventory needs and upgrades to existing infrastructure. All toro equipment is working as intended. Majority of my equipment budget is going to our John Deere equipment. We will start on replacement this winter. Next replacement piece will be the John Deere rough unit. Mower decks cannot handle the terrain of the course. This piece is not operational. We will use the lining to line the edge of the rough where tree roots are growing and sapling all the water out of the rough. Any other uses for the pond liner? iii. The well is used only when water levels drop to below 300 gallons per minute. We are watering roughly 630 gallons per minute and with the fine tuning of site pro I am able to water all 27 holes in one night. The goal is to get the water time window to 11 hours and drop our water usage to 500 gallons per minute on every water cycle. i. De-sanding house is empty down to 6 inches we flushed the sand out of a 4” drain valve in the bottom. ii. A schedule to clean the de-sanding house will be implemented. Sometime in the fall, so we are ready for spring flow. We purchased a new filter regulator and manual cycle valve for the filter house. With the new hardware installed and the de-sanding house clean, the irrigation system has been running 630 gallons per minute for 3 weeks from green canyon without a problem. The irrigation system is working to 80% of its capacity which is showing on the golf course. There is still sand in irrigation lines which clogs the irrigation heads. Now the system is running, we are flushing heads to remove sediment from the lines. I have no idea how long this will take. With the irrigation system consistently running and pressure holding we are starting to find the weak spots in the piping and valves. These issues are being addressed on a priority basis. Air release valve broke. We excavated the area and found the break. We eliminated the air release for now and are redesigning the piping. Ken McNeal moved and Terry Wilson seconded that the meeting be adjourned. The motion was passed unanimously. Meeting adjourned at 3:50 pm. Call the meeting to order – Meeting called to order at 4:08 pm. The Mixed Moose tournament was contested on Friday and Saturday August 26th and 27th. We had a small group of 24 players. The event brought in more fees to SVRA that it has in past years. The player’s comments were positive about using Aspen Hills, however, they felt the tournament was too expensive. Our rounds for August were up against last year from 4203 in 2010 to 4486 in 2011. This wasn’t enough to offset the lower prices. Rounds for the season are ahead of last year’s from 13264 in 2010 to 13395 which is really good when you consider that we didn’t have a spring season. We conducted the mens and ladies horserace events. The mens club championship was conducted with Tom Baker winning the club championship and John Daulton winning low net. The ladies club championship was claimed by Toni Kovach and Myrna Archibald winning the President’s Cup. We collected donations for the Patriot Golf fund. This fund donates scholarships to the families of wounded or killed in action veterans. The Rally for a Cure will be held at Cedar Creek on Saturday, September 10. Cash donations will be accepted as well as prizes donated for a silent auction. The event will be a two-person scramble with 25% of combined handicap. Members have donated prizes to be given out during the tournament. Please come out and support this worthy cause. Teton Motors has agreed to sponsor a four person scramble on September 17. This event is open to all players. Each player will receive a tee prize and the winners will receive gift certificates for shop merchandise. Any players that test drives a car will receive twenty percent off of golf merchandise. Offer valid until October 1st. The cart paths on Cedar Creek #1 and #2 and on Aspen Hills #7 are under construction and are looking great. We have started fall hours. The shop is open from 8 am to 7 pm. We have started fall pricing of $22 for 18 holes at Cedar Creek and Aspen Hills is running a Buy-One-Get-One special for 18 holes at Aspen Hills. We have reduced the merchandise in the shop. We will not be doing a store wide sale this year so members that have credit need to use it by October 31st or they will lose it. iii. Action Item: Mens and Ladies Association are to meet with Randy and discuss next year’s schedule. Junior Golf: 15 and under play free at both courses w/ paying adult.